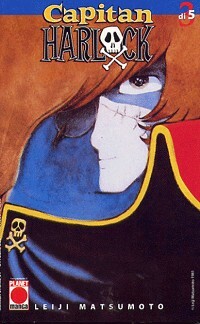 Space Pirate Captain Harlock is a manga series, which was published from 1977 to 1979. The series was adapted into an animated television series in 1978. The series follows the Captain, an outcast turned space pirate after he rebelled against Earth's Government and humanity's general apathy. 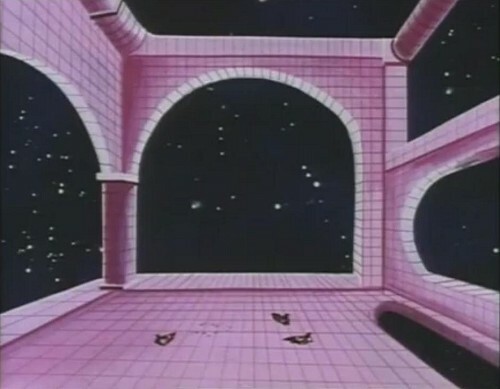 In 41th episode Captain and his spaceship crew were shut up in prison, which looks like Escher's "Another World II". The screenshot you can see below.